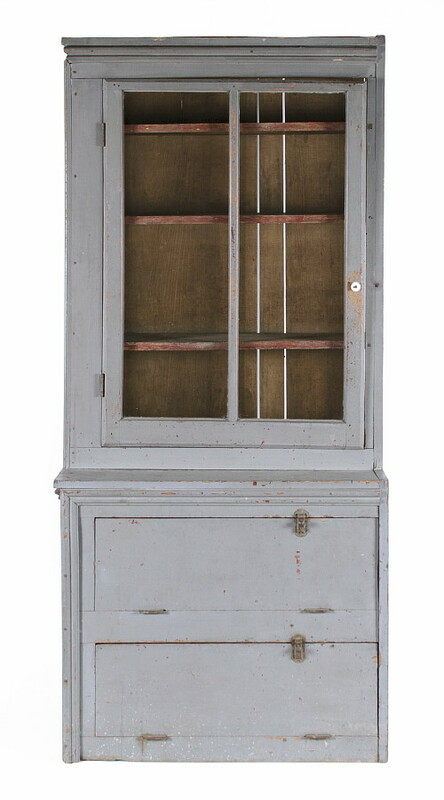 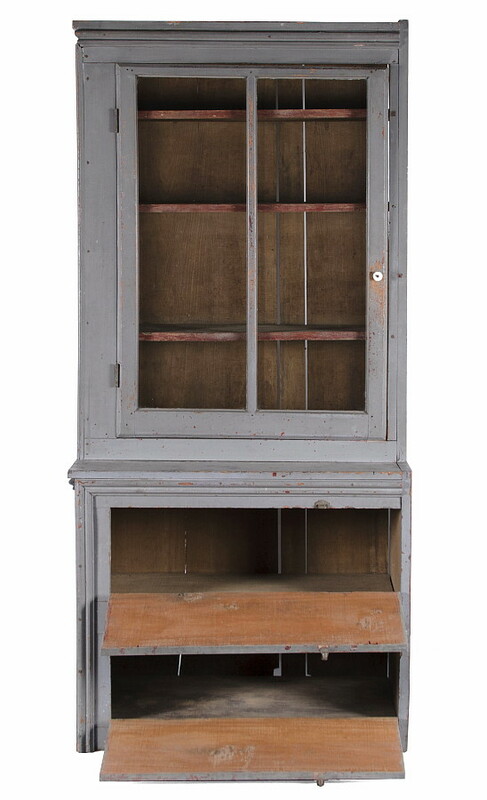 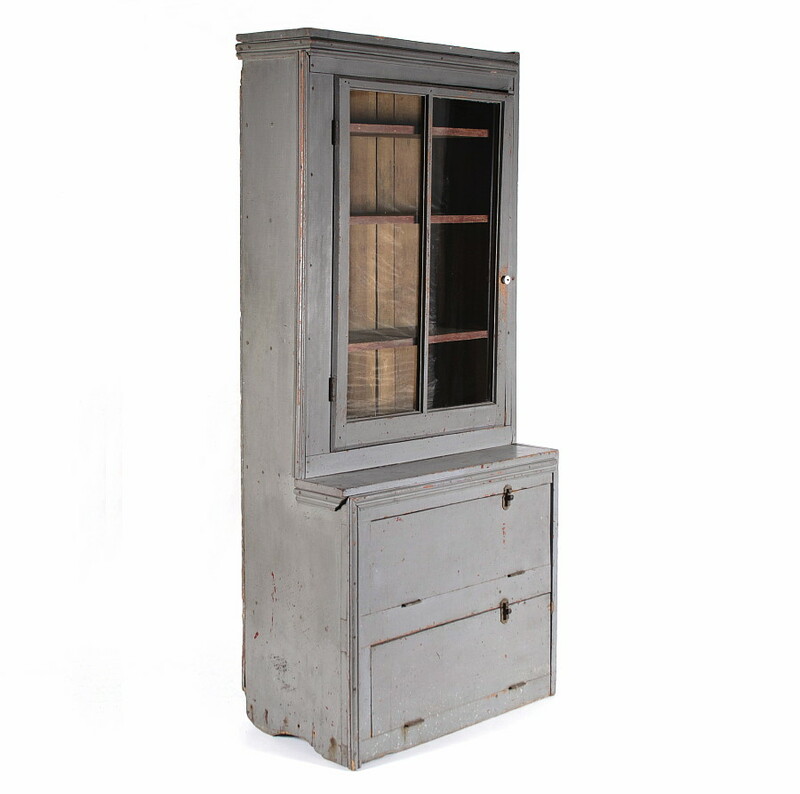 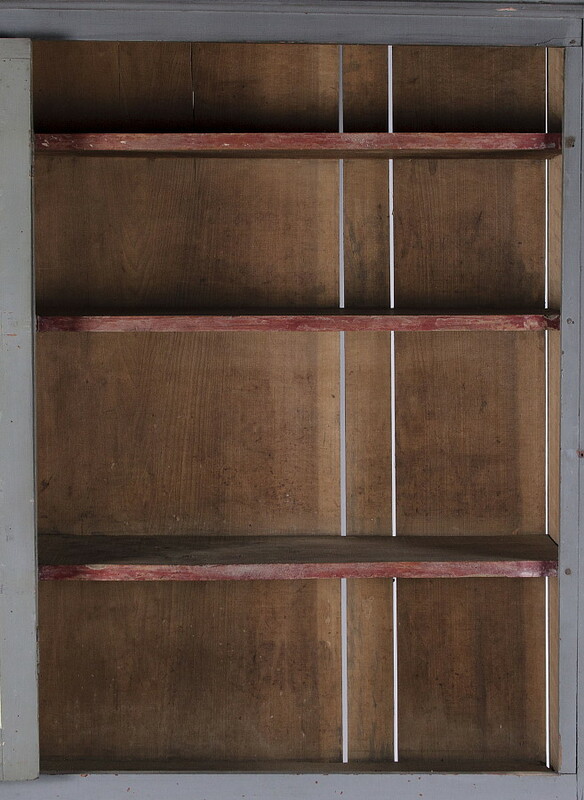 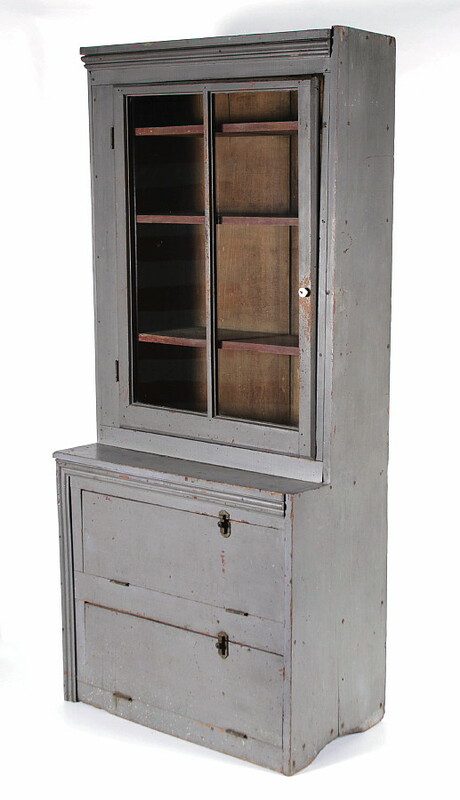 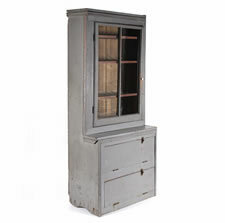 Unusual country step-back cupboard with plank sides on shallow, half-moon, boot-jack feet; a make-do form, molded on the left side and the front, with a glazed, 2-pane door on the top register and two drop-down doors that open to shelves in the bottom. 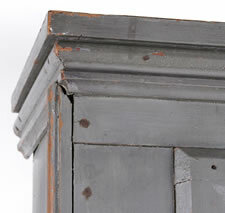 An old grey painted surface covers an earlier red. 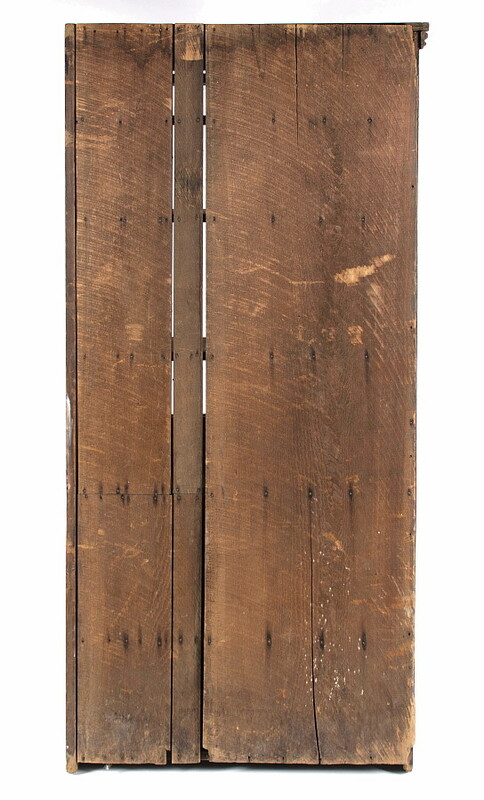 Made circa 1890 and found in central Pennsylvania, the construction is of nailed softwood. 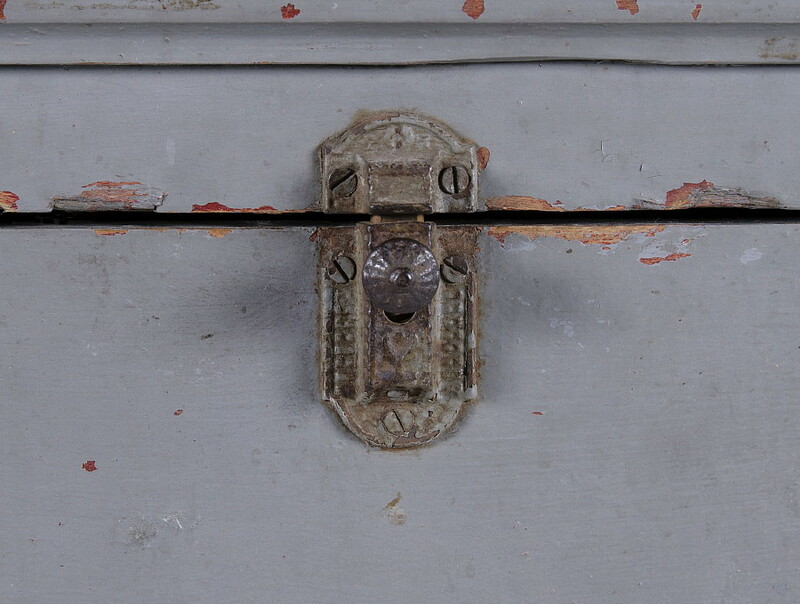 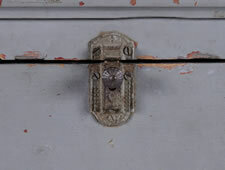 The hardware consists of nice, heavy, mid-19th century hinges, an original porcelain knob on top and Victorian slide-latches. 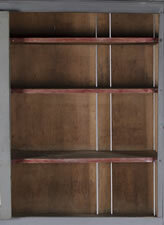 The back has a single, wide plank board and two pieced narrow one beside it. 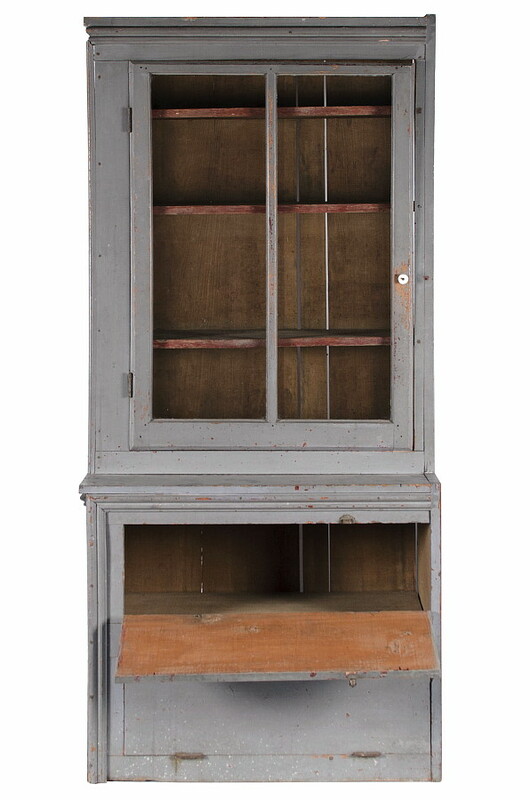 The narrow, 34.5" width is particularly versatile and I especially like the functionality of the unusual doors, which give much better, open access than usual to the storage below, providing a nice place to store towels or glassware. 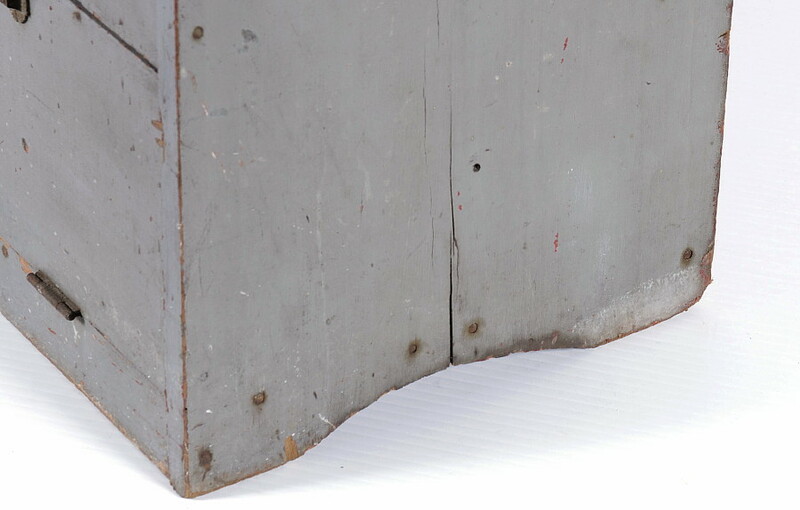 Condition: This is a rural-made, make-do piece with expected wear, some of the wood quite obviously the leftover from previous work, and various eccentricities. 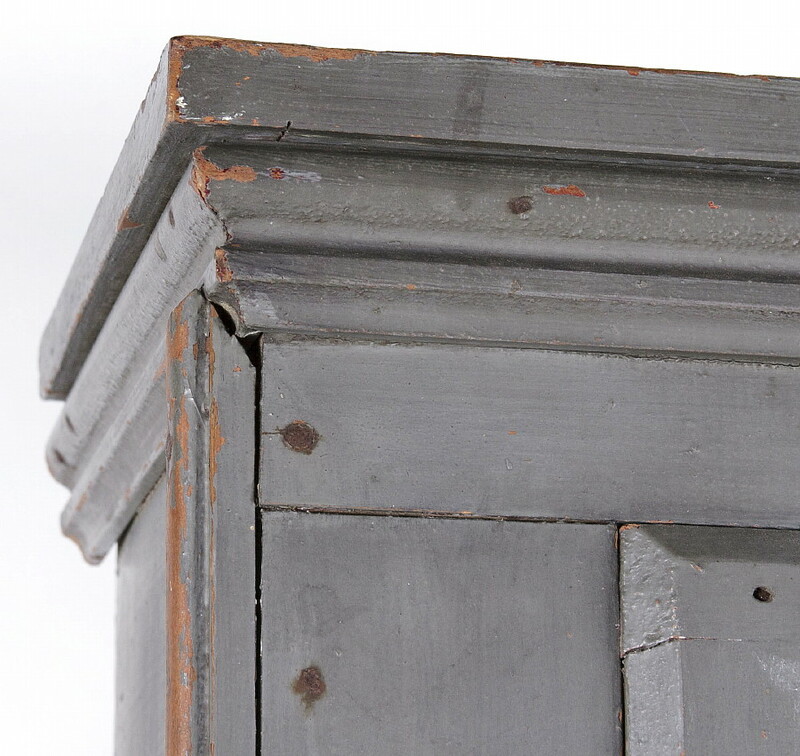 The door frame is somewhat warped but adds a whimsical characteristic and is functional.